The big picture: HP's Spectre Folio sheds plastic and metal in favor of leather, a material not typically associated with laptops. Leather phone cases work, so why not try it on something a bit bigger? 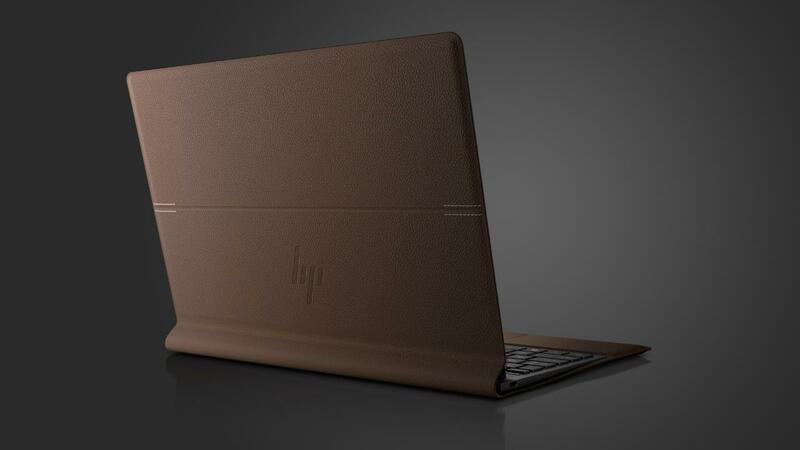 HP on Monday introduced the HP Spectre Folio, the world’s first leather convertible PC. Reminiscent of Samsung’s older Galaxy Note handsets, the HP Spectre Folio embraces the art of “manucrafturing” in which meticulously designed hardware meets handcrafted materials. The 2-in-1 features 100 percent chromed tan, full-grain leather in your choice of two colors: cognac brown or bordeaux burgundy. It’s powered by Intel 8th gen Core i5 and i7 (Y-series) processors and uses both a fanless design and one of the smallest motherboards in the industry. HP says it leverages the unique qualities of leather to create an experience that feels both cool and comfortable in the lap. Admittedly, my first thought was the exact opposite – is leather really a great material to conduct heat? The Spectre Folio can be configured with up to 16GB of RAM, up to 2TB of SSD storage and either a 300-nit FHD display or a low-power 1W 400-nits FHD display. A 4K panel option will be offered later this year, we’re told. The gigabit-class LTE laptop supports dual eSIMs and boasts an impressive 18 hours of battery life. Four front-facing Bang & Olufsen speakers come standard. HP is now accepting pre-orders for the Spectre Folio. Pricing starts at $1,299.99 for the Core i5 variant or $1,499.99 if you want the faster Core i7 with LTE. Look for the first models to ship on October 29.